Current Tendencies, the annual Moreland Summer Show, opens tonight from 6-8pm. Come along to see what artists living or working in Moreland have been up to this year. I will have a new and unusual piece in the show, informed by my experience developing connections with a new place, as a migrant to Moreland (and Australia). 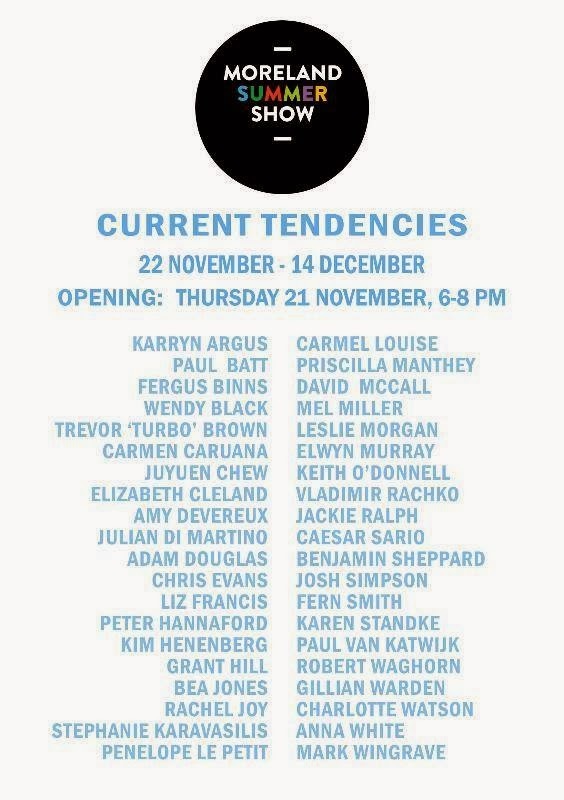 The exhibition runs until 14 December at the Counihan Gallery in Brunswick.